Sheffield is one of the four county boroughs that form South Yorkshire. With the area being a hotspot for students across the country, the Sheffield housing market is one to watch. Research from the Council Tax register estimates that there are 238,000 occupied properties throughout Sheffield. Exploring this in more detail shows that around 40,000 homes in Sheffield are owned by the council and approximately a quarter are social rented. The remaining houses are in the private sector, with the majority of households owning their own home and 16% renting from a private landlord. According to Rightmove, the average sale price of a house in Sheffield is £185,390. Sheffield has seen a rise in price of 4% since the previous year and is 12% up on 2014 costs. Deciding to sell your home is a big decision, and the smoother the process the better the experience will be. If you’re looking to sell your house fast in Sheffield, you will need to be lucky. Research from the latest City Rate of Sale report issued by Post Office Money, reveals that houses in Sheffield take an average of 85 days to sell. This is longer than the national average, which stands between six to eight weeks. Contrasting with these figures, over the past year, the amount of time that a property spends on the market in the area has decreased. 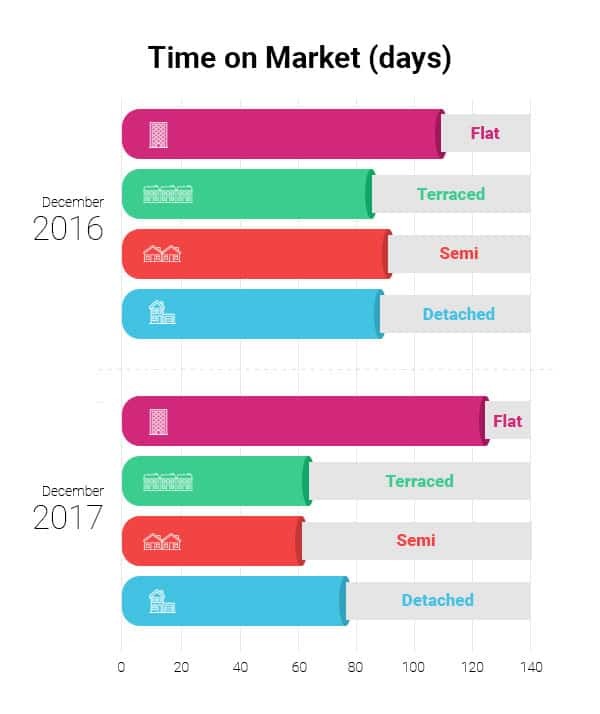 When this data is further broken down, detached, semi-detached and terraced properties have all spent less time on the ladder since December 2016. The only property type that has experienced a rise in the length of time spent on the market is flats, with an increase of 15 days. Since 2016, the number of houses with five or more bedrooms has seen a large decrease in the length of time spent on the market. In 2016, the property type would take 164 days to sell however, they now only take 81 days. With this in mind, one bedroom properties have seen a rise of 40 days on the market. This demonstrates that over the period of a year, there has been an increase in popularity for homes with a large number of bedrooms. If you find yourself in a situation where you need to sell your house quickly in Sheffield – you should always remember these top three tips for an easy sale: price, condition and marketing. Make sure that your property has been valued correctly and avoid putting the asking price too high as it can often put people off purchasing. If you have any problems such as a leaky pipe or a torn strip of wallpaper – get it fixed. It makes the world of difference. Finally, make sure that your property is marketed correctly, take nice pictures and let people know that it is for sale. Compared to the surrounding areas, Sheffield is one of the more expensive places to live in South Yorkshire. Located halfway between Sheffield and Leeds, Barnsley is a large town in South Yorkshire. The average house price in the area is £131,180 and is considerably lower than the cost in Sheffield. Barnsley is the perfect option if you are searching for a town that has shopping centres, supermarkets and parks but a lower price tag. This large market town is renowned for hundreds of indoor and outdoor market stalls and a Victorian shopping centre. If you are looking to purchase a house in Doncaster, the average price is £145,684 – more expensive than Barnsley but still not as costly as Sheffield. Located just 5.6 miles from Sheffield city centre, Rotherham town centre is often visited by residents who live in the Sheffield suburbs. 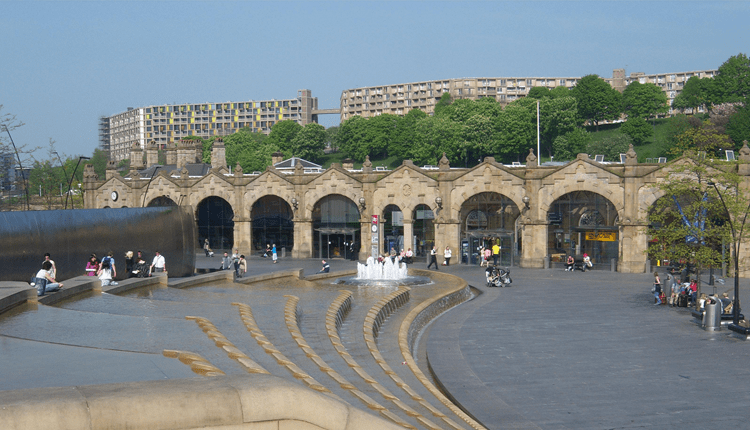 With an average house price of £140,316, it is a great option if you want to be close to the hustle and bustle of Sheffield but can’t afford the prices.